How is a Mak baffled? Since the light path goes back and forth, I would assume there is more chance for stray light. I would also assume the C80ED is quite well baffled. Also, you didn’t do this test on the same night, so you would have had more ambient light with the Mak. 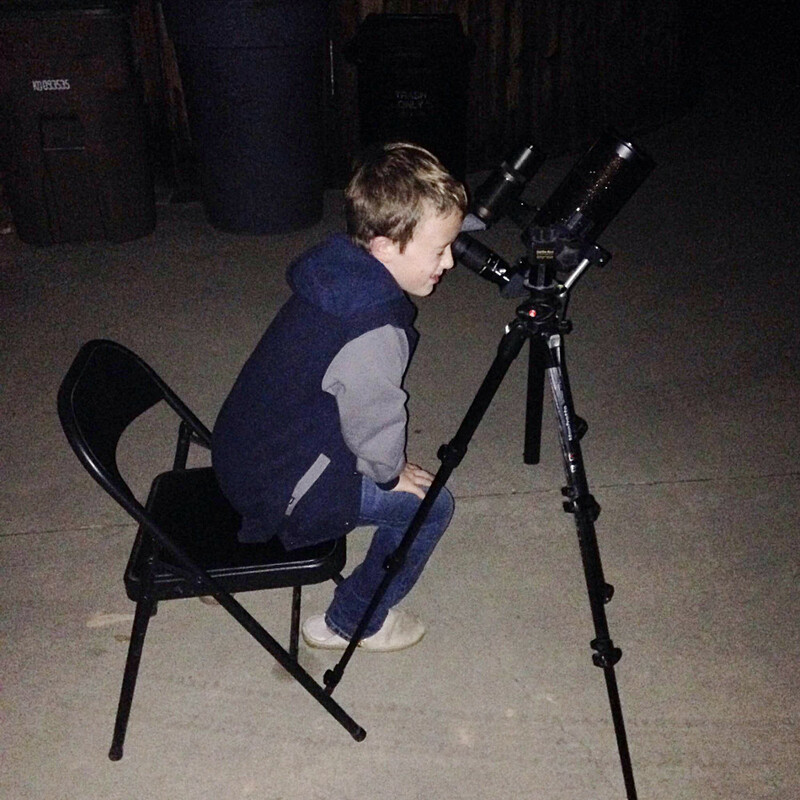 You might want to try both scopes on the same night. I always get the greyish circle when I’m viewing from home. When we’ve been at Sultan Sea, I don’t see it…..only black. So black, in fact, that with higher powers I find it difficult to find the view in the EP. The grey is almost comforting, since I know that I am at least looking through the scope! That was me. I listed the SW 90 on CL because I never found the optics very good, mainly on the Moon, just not very sharp or bright. 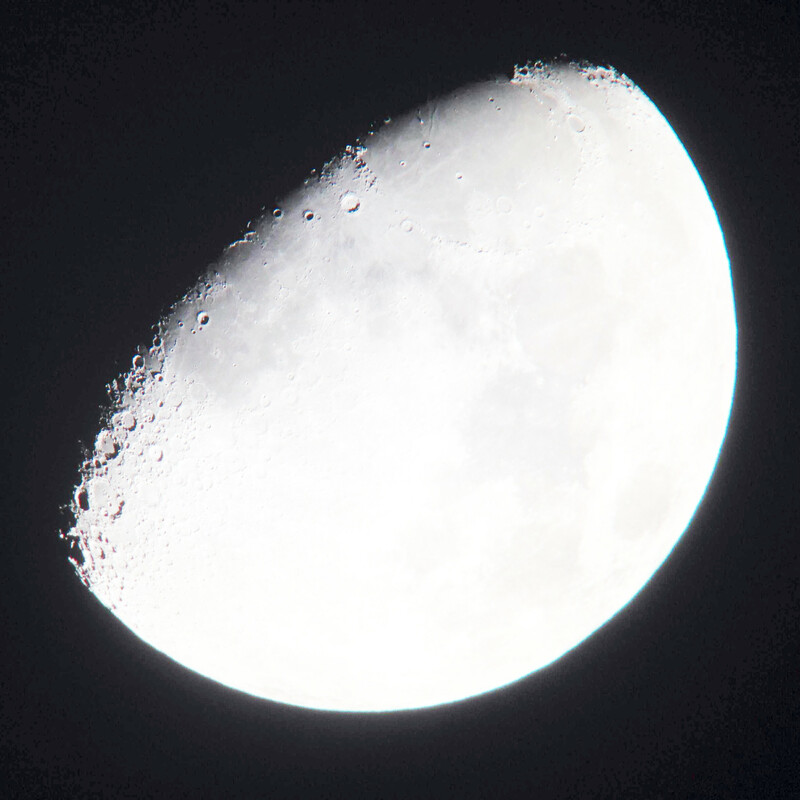 I bought a C90 Mak on Amazon and had both for almost a month before the SW sold, so I set up both on a waxing gibbous moon and did a back and forth comparison, and the C90 was a landslide winner: superior resolution, brighter and more contrasty images, more detail in the smaller features, craterlets, etc. Noticeably different ‘scopes. The optics in the SW were almost dull compared with those of the C90. Funny you should bring that up–one thing I’ve noticed with the C80ED is that it is very difficult to spot that grey circle visually, even from my driveway. I have to actively hunt for the field stop. I think it just has much better control of stray light than any of my other scopes. I’d like to see how much improvement I could get just by making long-ish dewshields for my newts and cats. the C90 was a landslide winner: superior resolution, brighter and more contrasty images, more detail in the smaller features, craterlets, etc. Noticeably different ‘scopes. Yep, now I remember. Astonishingly, the C90 is still available at around $160; that is a heck of a lot of scope for not much dough. I honestly had forgotten just how small 90mm Maks are until I saw the one on the observing field at the Griffith Observatory. For a second I wondered if it was an 80mm Mak. Such things do exist–at one point, Lomo had Maks in almost every 10mm increment between 30mm and 100mm (the 30mm and 40mm instruments were supposed to be hand-held; I don’t think there was a 50mm version). But no, it was an Orion Apex or StarMax 90. Although the contrast in my little SW Mak is unimpressive, it is still a fun and compact little scope. And other than my 50mm refractors, it’s the only one that could go as airline carry-on. But I think the C80ED will take over its niche pretty handily. Hi – wonderful articles on your site. Thought I would ask a quick question. I notice a greenish blue fringe around the moon in your posted C80 ED picture that does not appear in the Mak shots. 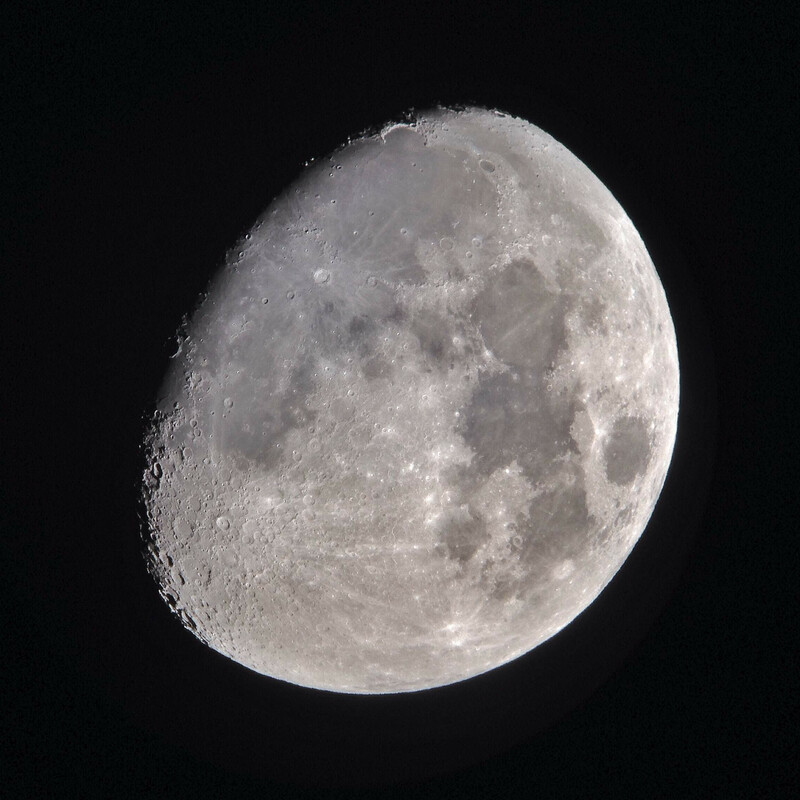 I was looking at the moon this week with my own C80ED and noticed the same thing. A very bright moon this week but the color was expected. Do you see this often with this scope? Thoughts on why the Mak would not show it? Hi Steve, thanks for the kind words. As for the green fringe on the moon in the second shot, there are several factors to consider. One is that I boosted the contrast to seriously insane levels in that shot. I didn’t notice the green fringe at the eyepiece. Another is that CA can be introduced by any refractive element in the optical train, including eyepieces. That probably is not a factor in comparing my two photos since they were shot through the same eyepiece, but it might–might–explain why you’ve noticed the green fringe visually and I haven’t (if we’re using different EPs, although I’d expect the Celestron zoom to have more CA than most). Another totally plausible explanation is that I just haven’t looked for it carefully enough. Or perhaps my eyes are less sensitive to that color than yours–all kinds of color perception in astronomical objects are highly variable among observers (for example, perceived colors in double stars). As for why the Mak would have less CA than even an ED refractor–I think it could be that although the Mak has a refractive element up front (the corrector plate) that element is not bending the light very much, just enough to correct the spherical aberration introduced by the very fast primary mirror. Whereas in the refractor, the objective lens is doing all of the heavy lifting of forming parallel rays into a converging light cone. The ED glass knocks the resulting CA down some but does not entirely remove it. Even triplet APOs have some detectable CA, although for many of the best ones that CA is only detectable by machines like photometers, and they really do look color-free to visual observers. My understanding is that CA in refracting systems can be knocked down to arbitrarily low levels, but never completely eliminated. For me, the improvement in going from an achro to an ED scope was totally worth it, but that’s a pretty subjective thing that every observer would have to weigh for themselves. Matt – thanks for the reply. I will compare with different eyepieces when next out. I have some ED eyepieces and some standard plossls in similar FLs. Never thought to compare CA before. Overall I love the 80 ED. Bought it to compliment my 6SE SCT and maybe do some AP, but have ended up using it for visual as often as the Cat. The C90 needs something to kill the glare in the baffle tube. You can try coarse sandpaper with a light coat of flat black paint.